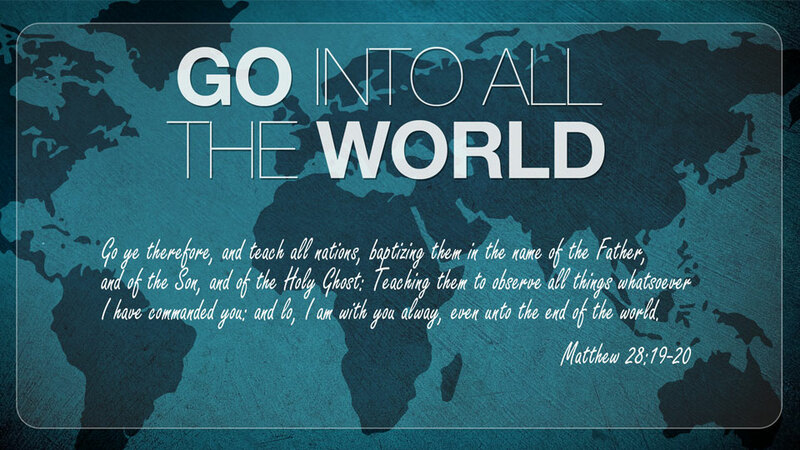 The above text is what is known as the Great Commission. Jesus was born into humanity through Mary. He lived, He had a ministry for three to three and a half years. He died, He rose again. The above description concerns Jesus after He rose from the dead but prior to His ascension into heaven (the resurrection occurred in the first part of this same chapter, Matthew 28). In verse 9, we read that He was worshiped by the women who had gone to His grave, only to find it empty and an angelic messenger announcing to them He had risen from the dead and that they should go onto Galilee. As they went, they met Jesus and immediately worshiped Him. Please notice that Jesus did not dissuade them from doing this. He simply said they shouldn’t try to keep Him from doing what He had to do, but He was not objecting to them actually worshiping Him. Only God can and should be worshiped, with this just one text proving that He is God. Verses 11 – 15 highlight the transaction that occurred between the guards and the chief priests. In essence, the priests paid the guards (bribed) them to lie. Not much different from what politicians do today, is it? Starting with verse 16, we start to zero in on the Great Commission. Notice again though that when certain disciples saw Jesus, they worshiped Him. Some weren’t sure because they either weren’t sure it was actually Jesus or if they were seeing some sort of ghost. They certainly didn’t want to worship someone who was not Jesus, nor did they wish to worship a ghost. Interesting thing about our eyes and what we’ll believe. In spite of evidence to the contrary, sometimes, we doubt. Our brains keep us from accepting what should be obvious. Then again, many of us have been tricked either by con artists or simply through the entertainment of a very good magician, so we’re a bit jaded or at least cautious. The main point here though is that again, people worshiped Jesus and again, He does not dissuade them from doing this. He clearly accepted their worship, though some use all sorts of tactical manipulation of the text to try to prove that the word “worship” does not mean “worship.” Ignore them. But then Jesus makes a very interesting statement. He says “All authority in heaven and on earth has been given to me.” What does He actually mean by that statement? What He says immediately following it obviously hinges on it so it is important to understand it. There is clearly a difference between Jesus’ authority before His death and resurrection and after it and Jesus is stressing that point when He makes the statement to His disciples. He specifically uses the word “all” which literally means all. There is nothing that He does not have authority over now. Not one thing. The fact that Jesus died without sin (though He stood in for our sin, yet He Himself personally knew no sin; 2 Corinthians 5:21) and in fact, did not need to die, but was put to death wrongly (yet on our behalf) by human agents, is completely cleared up because of His resurrection. Because of His sinless life, though put to death, death could not hold Him (Acts 2:24) and He rose from the dead. Because He rose from the dead of His own accord, this was God’s complete stamp of approval on Jesus, His life and death on our behalf. God the Father completely vindicated Jesus by not only raising Him from the dead, but by giving Him all authority. It is by that authority that Jesus presents the Great Commission to His followers. He establishes first of all, that He actually has that authority and it is with that authority that He presents His followers with their marching orders. In His statement, “All authority in heaven and on earth has been given to me,” Jesus is stating that nothing stands in His way. Nothing equals Him in power or authority. Nothing can compete with Him and nothing will keep His will from coming to fruition. He referred to this in some form back in Matthew 16 when, in response to Peter’s faith, Jesus spoke of the fact that He would “build [His] church, and the gates of hell shall not prevail against it,” (Matthew 16:18). There, Jesus promised that He (not we), would build His Church and nothing, including hell itself would stand in His way or keep that from happening as His Church moved over the face of the earth, gathering lost soul after lost soul from all tribes and nations. Certainly, we can play a part in that and are really commissioned to do so, but whether we participate or not, His Church will be built! The Church proper, is also represented as Christ’s Body (1 Corinthians 12). That means that every person who embraces salvation becomes part of God’s invisible (to us) Church. There is also Christendom, which is represented by all the people we can see, who claim to be Christian throughout the many denominations over the face of the earth. However, not everyone who is part of a denomination or attends a local body called “church” is a true Christian. The true Church – His Body – is invisible to us as we cannot see into the hearts of other people to know for certain who is and who is not saved. We might guess or have some idea, but we cannot know for certain. That’s God’s department, not ours. He alone judges and judges rightly. Satan is under Jesus’ authority. He can do nothing without Jesus’ permission or leave. Satan is on a leash and will remain on a leash. In fact, he has always been on a leash (cf. Job 1). He is allowed to do only those things that coincide with God’s purposes, even though, to us, it may appear as though Satan has the upper hand. He does not and I would seriously ask you to consider what you believe to be the nature of God’s sovereignty if you think Satan has the upper hand at any time. Either God is sovereign or He is not. He is not “partially” sovereign or somehow dependent up on us to accomplish His purposes. He chooses to use us yes, but He is not bound to us as we must be bound to Him to accomplish things that have eternal merit. It is on the basis of the two things just listed Jesus issues His Great Commission. Remember, He has stated without equivocation that He will build His (whose?) Church and He has all authority over everything in heaven and on the earth. If He now has all authority over everything that occurs on the earth due to His resurrection, then why do we even entertain the idea that certain things that take place throughout the earth now (or in the past), do not work toward His purposes? I cannot stress enough that we come to terms with the meaning of Jesus’ statements regarding His Church and His authority! We cannot give to Satan what belongs only to God in Christ! Either Jesus is in full charge of all things and He reigns now in the heavenly realms over heaven and earth or He does not. Which is it, as far as you’re concerned? We will talk more about this next time. While we may discover that it might all be too high for us, we had best err on the side that favors God and His ability to control even what we do not fully understand. Entry filed under: christianity, Cultural Marxism, Emotional virtue, eternity, israel, Life in America, Political Correctness, Politically Correct, Politics, Religious - Christian - End Times, Religious - Christian - Prophecy, Religious - Christian - Theology, salvation, second coming. Tags: build my church, great commission, matthew 28.